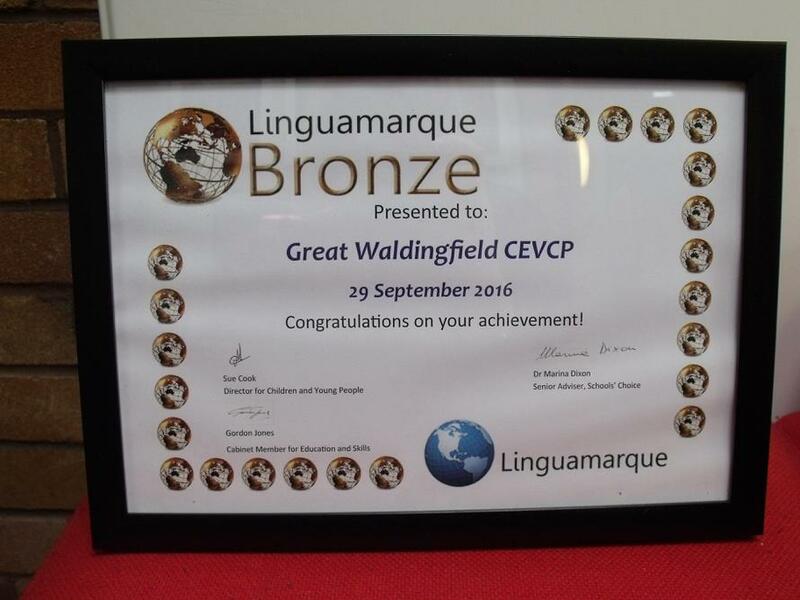 We are delighted that our school has been awarded the Linguamarque Bronze Award in recognition of our work to promote language learning and an understanding of the world beyond Great Waldingfield. In order to receive this award we were assessed in nine different areas of our languages and international understanding teaching. We now hope to build on this achievement by beginning work towards our Silver Linguamarque Award.